This is what Nigerian serial entrepreneur Abdulhamid Hassan says. Pursuing the vision he and his cofounder have for their intelligent chatbot startup Hyphen, he knows what it’s like to take huge risks to achieve success. While reflecting on the good results that are the fruits of his labor - graduating from one of the MENA region’s leading startup accelerators in 2016, huge partnerships in Europe in 2017, like joining Paris’ booming startup ecosystem, [thanks to receiving seed investment and a four-year residence and work visa from the French government’s French Tech] and strong traction in the form of new customers, and an impending fundraising round - he is quick to remember that unwavering self-belief, against all odds, made it all possible. 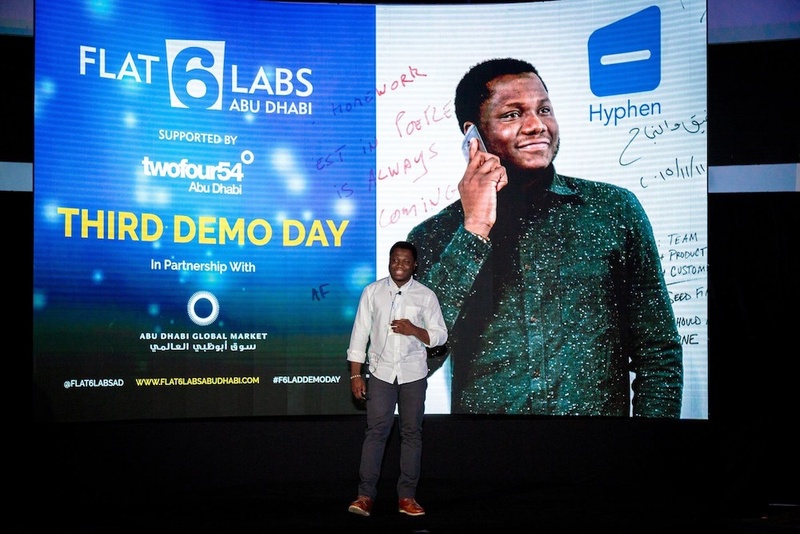 “I took a huge life risk dropping out of university abroad and losing my resident permit in Europe because I believed in the vision and mission,” said Hassan, talking about the decision to relocate to the UAE to scale up Hyphen by participating in Flat6Labs Abu Dhabi’s 2016 cycle. 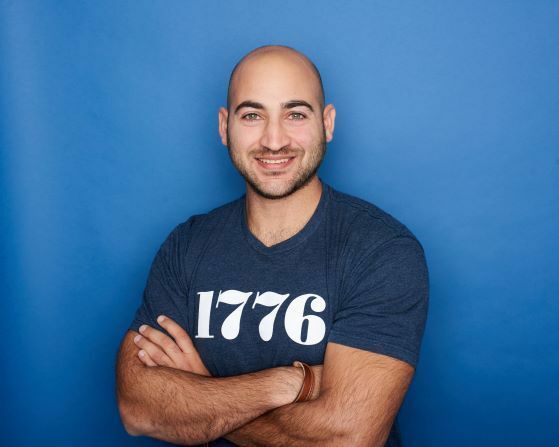 Skylar Labs is the the parent company Hassan cofounded with Beninese engineer Achille Arouko (the company’s CTO) to create the Hyphen product, much like the format of Los Angeles-based startup Snap Inc. offering products like Snapchat. “Flat6Labs helped us reach customers, investors and mentors we wouldn’t have been able to meet on a normal day. And they helped us kickstart a journey that would have been hard if they hadn’t believed and invested when Skylar Labs was just a prototype,” said Hassan about the transformative experience. Hassan’s customers are part of a niche community that previously didn't have the chance to tap into opportunities provided by chatbots due to not having enough technical skills.“Today, most of the chatbot platforms are developer-focused, which makes it extremely hard for companies to understand how to setup or build one. We understand that the goal setters, the business owners, the brands and the decision makers often aren’t programmers,” said Hassan. Hyphen in action on Facebook Messenger. The chatbot is now approaching mainstream status, including being listed on many of the ubiquitous ‘2017 trends’ lists currently among professionals working in the digital sector. A far cry from the days when most exposure the average web user had to chatbots involved the robotic customer support bot on airlines’ websites. Along with Hyphen, companies like Conversocial (which was launched in the UK in 2009) and Spring, the US-based ecommerce company, launched its Spring Bot in 2016 to help online shoppers have a personalized experience thanks to a ‘concierge’-like bot. According to Tarek Amin, a member of the MENA digital advertising community who has launched startups and invested in regional startups, chatbots have the potential to make a strong long-term impact on online culture as its base technology further develops. 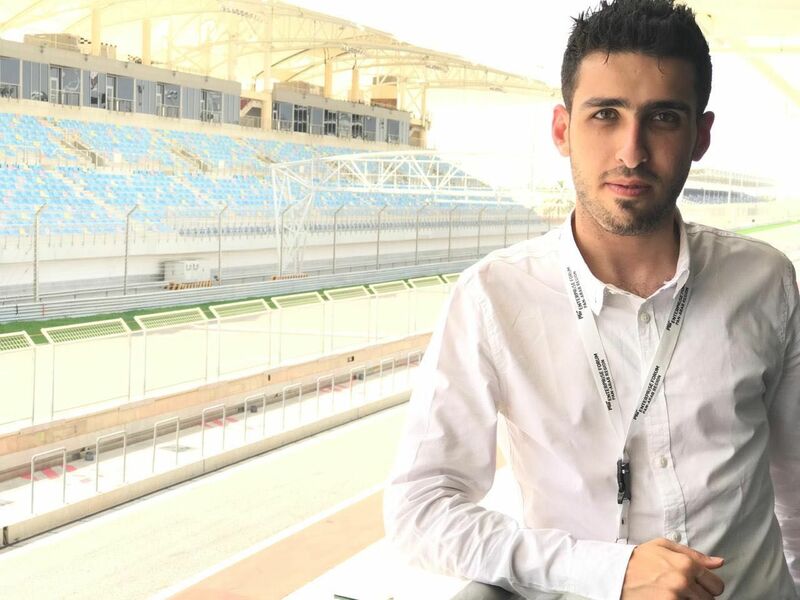 “While still in their infancy, as Artificial Intelligence and Neuro-Linguistic Programming improve, I believe Chatbots will reshape the nature of mobile engagement between companies and consumers,” said Amin, who is CEO of digital at Adline Media Network, and founder of Dubai Angel Investors after launching Careermideast.com. It is important to realize that Chatbots don’t only solve for customer service, or showing you your last five transactions. They can aid brands in gaining customer insight, increasing engagement, and even qualifying leads.”Amin added that there have been 30,000 chatbots launched on Facebook alone since Apri 2016l and some companies in MENA are starting to implement them.“Mashreq, Emirates NBD (two Dubai-based banks) and Riseup are tapping into the space. There is traction from ecommerce players in the region and more regional brands building towards it. We also have our own homegrown startups in the space who are on a mission to redefine how companies interact with consumers,” said Amin, while name checking Hyphen, Botler and Elves. The mission Hassan and Arouko have is for Hyphen to introduce chatbots to larger audiences, across platforms where people spend endless hours on a daily basis: social media networks. Hyphen integrates with popular apps and platforms like Twitter and Facebook Messenger and even can be set up to engage with Facebook wall posts. When Facebook shook up the ecommerce world in 2015 by launching Business on Messenger to help retailers communicate with customers through Messenger and answer queries on a platform that many people use several times per day, a new world of possibilities was imagined. Hyphen is now bringing this vision to reality all while adding its own twist. Other Hyphen integrations include Skype and popular ecommerce platforms Shopify and Magento, along with the ability to communicate via text messages. Skylar Labs CTO Achille Aroukou is from Benin and has been based in Paris recently; one half of a globetrotting duo which has been working across several continents over the past year. As he prepares to relocate to France to join his cofounder in Paris, Hassan views the European market as the next El Dorado. “In my opinion, distribution is all that matters in B2B, which is why we’re doing major partnerships with agencies and third party platforms that people are currently using for live chat,” explained Hassan. After the roller coaster that was the move to a new continent in 2016 while sacrificing a resident permit in another, Hassam seems confident about aiming for ambitious goals this year. “Our plan for 2017 is to have over 1,500 business on board, with half of them will be paying customers. We will also be launching the product in the US by Q3 (third quarter) of 2017,” said Hassan. However, what is most exciting about the near future is the possibility to follow up the success catalyzed by Flat6Labs through its $30,000 seed investment in 2016. In a classic example of dejà vu, Hassan and his cofounder are bracing for the injection of more MENA Money within the next few weeks. They told Wamda they were planning on closing a bridge round by the end of January.